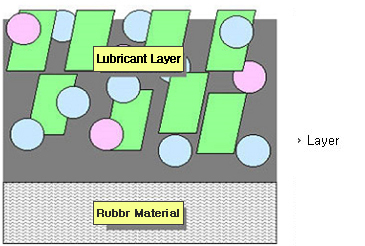 Dry film lubricant is a functional paint with solid lubricant and special filer dispersed in resin liquid, and its film is exceeding in sliding, waterproofing, abrasion-resisting, incohesive, corrosion-resisting, chemical-resisting. And also according to requested performance, it is possible to add other variety of functions. 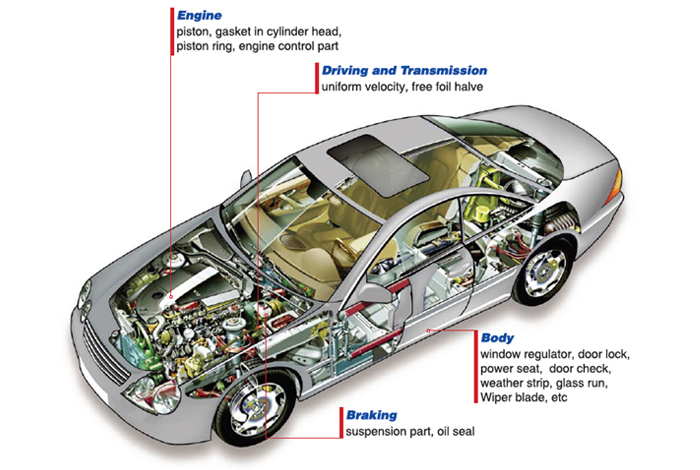 • Engine : piston, gasket in cylinder head, piston ring, engine control part. • Driving and Transmission : uniform velocity, free foil halve. • Braking : suspension part, oil seal. • Body : window regulator, door lock, power seat, door check, weather strip, glass run, wiper blade, etc. 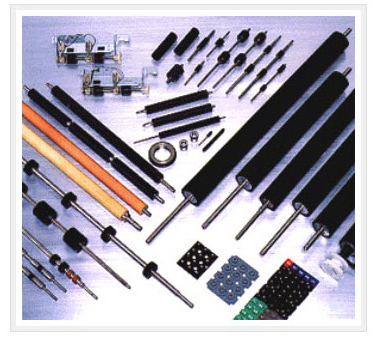 • printer : development roller, tension roller, electric prevention roller, driving roller, cleaning blade. 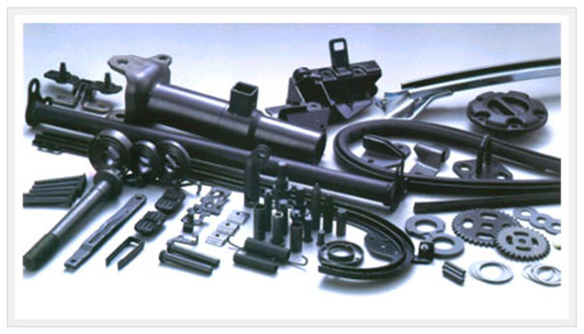 • Electric part : air conditioner, washing machine, electron range, linking instrumental, packing, sealing, etc. • Construction : chloridation vinyl pipe in sewerage or drainage, dust collection part in building. ring for shielding the light. Snow board parts, Ski part, head grip in golf. System kitchen, ventilating fan, fan hood in ventilating. packing and o-ring in bathroom, bidet.